Any business should have their POS (point of sale) system. In charging clients with the services or the thing they bought, it’s a usual practice to give them a proper receipt that’s electronically recorded. Anyone transacting business legally should have a print out explaining the charges including the taxes. Software companies even bank on this idea, building a million dollar industry as the number of businesses increase over the years. If you’re a self-starter running a small business on a part time basis, POS is the last thing in your mind. Large retailers who can spend thousands of dollars not only in software but also in hardware can prioritize POS while start-up businesses still have to use reliable Excel sheets. If you want to look more formal and legitimate, you should consider getting a point of sale system. Luckily there are free POS softwares. Just download the software and run it in your system. There are even reputed software that gained the fame of being free without any malware or bugs. Outright organizes all expense tracking of your business and ensures that everything is in order, so that there are little or no mistakes at the end of the day. But before you download such free software and integrate them in your business, think of the consequences you are putting yourself into. For one, you have to consider that a free software usually doesn’t have the ability to network the information. It’s a complicated process that any free software just can’t handle. Granted your business is growing and you have to streamline the processing of individual transaction records, you don’t want to spend lots of time copying and pasting the information. As time means money and productivity, it will literally cost you hundreds of dollars in productivity. And if something goes wrong with your computer or software, you can just hope that someone will help you with fixing the problem. On the other hand, paid POS software could really be expensive for now. But again, you have to consider the big picture. When you pay for something, you will have access for help and other updates. At the start it could be mean serious investment but you’ll have to work with it until you can recuperate the costs. Plus, streamlining information when you become a company saves time and effort. Considering the ups and downs of free vs. paid POS softwares, it’s obvious that you should opt for paid service. However, you don’t want to start spending too much in your operation. Even though how great a business plan is, you still need to test the waters if you want to know if the business will flourish. You can try testing a free software until you will know its time to transfer to paid service. As your business flourish, always consider that someday, you might want to have software that’s perfect for your business. 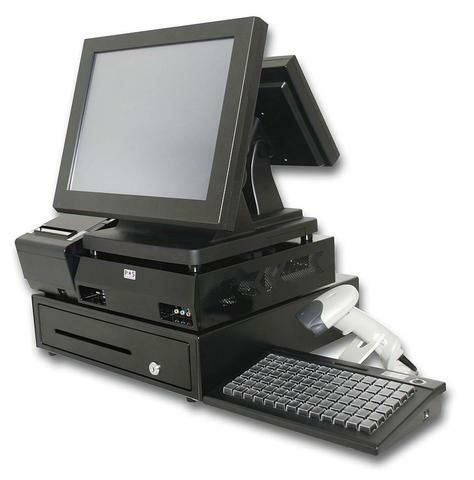 POS softwares may be a small part of your operation, but that same operation will assure you of stability of operation. You and your clients will no longer spend time scribbling things on paper or encoding them in Excel. Whether using a free or a paid service, you’re assured that POS software are there to give you more time to concentrate in your business.